Fashion Over Reason: Thank you Sydney Girl! 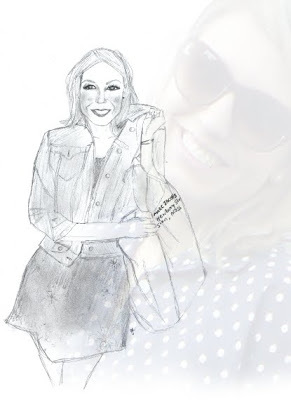 My lovely fellow blogger, The Sydney Girl (aka Joelyne), whose blog is wicked cool, took it upon her to conjure up this absolutely magnificent sketch of yours truly. She's so talented and i'm so honored that she chose to sketch me. Thank you, Sydney Girl, you're amazing! She is so fabulous. It's a stunning sketch of you!